During the plantation settlement of Ulster some areas were settled later than others. The vicinity of Dromore, like much of west Down, fell into this category. Only in the 1650s was the area substantially settled and the new community contained significant numbers of English origin as well as those of Scots extraction. By 1660 it was considered viable to establish a Presbyterian congregation in the town and in May of that year the Rev. Henry Hunter was ordained there by the Presbytery of Down. Mr. Hunter's ministry was shortly to be disrupted as within a year he was deprived of the parish church and tithes by Bishop Jeremy Taylor. For most of the next decade Hunter and his congregation, like most Presbyterians, had no regular Meeting House and met for worship in either private homes or in barns. The congregation built its first Meeting House about the year 1670, probably on or about the site of the present First Dromore Presbyterian Church. Mr. Hunter died in 1674 and was succeeded by the Rev. William Leggat in 1675; however his ministry also was not without its troubles. In the latter part of 1688, during the Glorious Revolution, local pro Williamite forces tried to resist the northward advance of Jacobite troops, but were decisively overthrown in an engagement known as the ‘break of Dromore’. Presbyterians were known to be strongly supportive of the Williamite cause and their leaders were now very much under threat. Mr. Leggat withdrew to Scotland and only returned in 1691. The next generation was to bring difficulties of a different kind. The minister of Dromore from 170o 1719 was Alexander Colville, who died very suddenly while conducting worship in his own pulpit. At that time the minister’s son, also Alexander Colville was a student at Edinburgh University, with a view to taking up a career in medicine. However the congregation wished to have him as their minister and persuaded him to take up the study of theology. This Colville did and was licensed by the Presbytery of Cupar on 19th June 1722, having subscribed the Westminster Confession of Faith. Difficulties arose when a formal call was presented to Colville in 1724 because in the interval he had decided that he did not wish to repeat his subscription. Application was made to the General Synod to transfer the Dromore congregation from the Presbytery of Armagh to that of Down, presumably in the hope that Down would be more flexible. Synod refused to make the change so Colville applied to the Presbytery of Armagh to Ordain him without renewed Subscription. The Presbytery refused, and Colville appealed to the Sub-Synod of Armagh, and on their refusal appealed to the General Synod. Then, fearing a further rejection, he took the matter into his own hands. Contrary to Presbyterian discipline, Colville went to London in December 1724 and was ordained by a group of ministers in the vestry of Dr. Calamy's Meeting House, without subscription. On returning to Dromore he took up duties as minister of the congregation and applied to the Presbytery of Armagh for Installation. This was refused and at the following meeting of the General Synod Colville was censured and suspended for disorderly conduct. Once more he took matters into his own hands and requested that he and his congregation might be received into the Southern Association, which was known to hold Non-Subscribing views, and which was outside the jurisdiction of the Synod of Ulster. This was granted and Colville was formally installed in Dromore, by a commission of the Southern Association on 27th. October 1725. There then followed a split in the congregation. Colville's Call was signed by 400 persons, which implied upwards of 400 families or two thirds of the congregation. 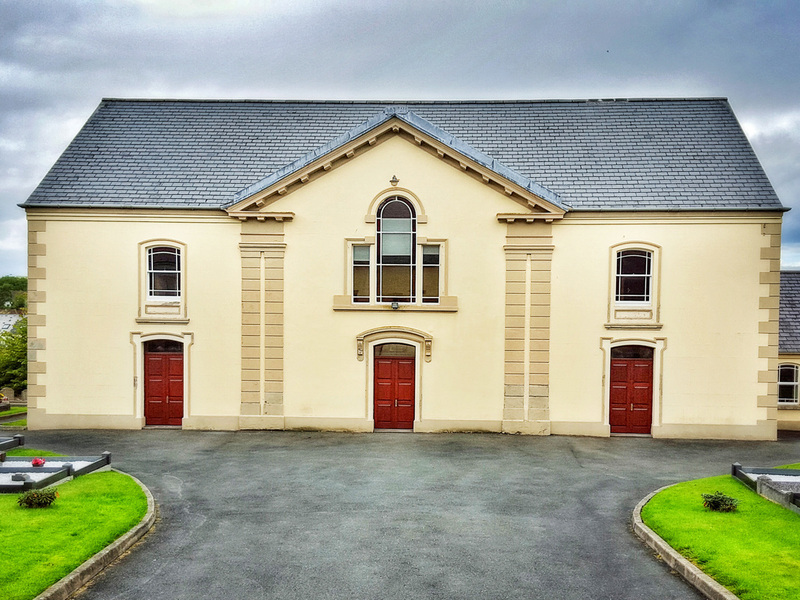 The remaining one third, or 200 families withdrew from his ministry and were established as a separate congregation, now First Dromore Presbyterian Church. Their first minister, the Rev. James Allen, was Ordained on 18th May 1726. At first his congregation held services in an old kiln at the head of Rampart Street, however within a short time Colville and his congregation built a new Meeting House in Pound Street and vacated the old place of worship on the Diamond Road, which was now re-occupied by the new congregation. In 1730 the Southern Association protested that Dromore was much too far away for them to exercise effective supervision and requested that minister and congregation should join the Presbytery of Antrim. This transfer took place later that year and the congregation remained part of that Presbytery until after the death of Dr. Colville in 1777. Something of the character of the man is indicated by the fact that as well as being a minister and physician he was also granted a commission by the Lord Lieutenant in 1745 to raise a Volunteer Corps for defense against the Jacobites. Colville raised the Corps at his own expense and commanded it in person. In 1777 Colville was succeeded as minister of Dromore by the Rev. Robert Black who, having been a Licentiate of the Presbytery of Armagh, persuaded the congregation to transfer back to it. That Presbytery was now considerably more liberal in its outlook than it had been half a century earlier. In 1800, during the ministry of James Bankhead the present Meeting House was built and has substantially retained its character from that time. 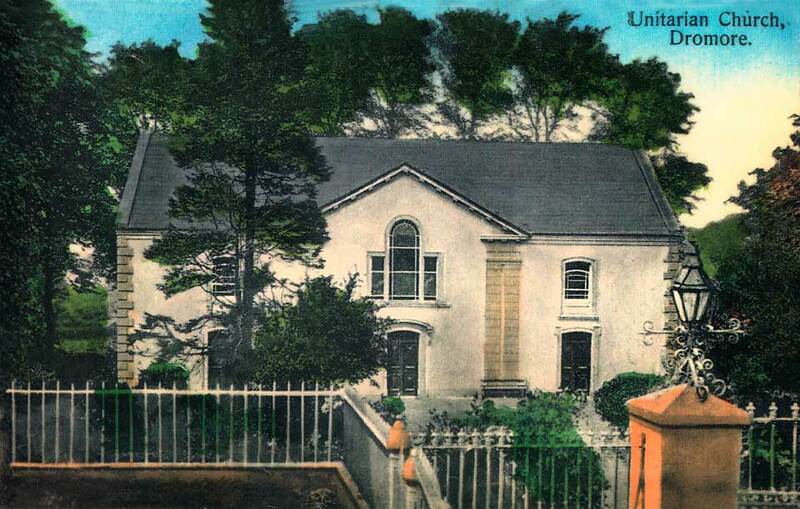 On 17th March 1825 Samuel Craig Nelson was Ordained as minister in Dromore by the Presbytery of Armagh. Nelson was the son of the minister of Downpatrick within the Presbytery of Antrim and came of a family with many New Light connections. In the Non-Subscription controversy of the late 1820s Nelson led his congregation in siding with the Non-Subscribers, in forming the Remonstrant Presbytery of Armagh in 1829 and in founding the Remonstrant Synod of Ulster in 1830. Nelson's views caused some controversy in Dromore at the time, but they were in keeping with the long established New Light traditions of the congregation and were supported by the vast majority of the members. In 1834 membership totaled 1,750. In 1858, at a time when rural population was falling sharply all over Ireland, it still stood at 1,200. In 1874 the figure was approximately 1,100. This indicated a strong and prosperous congregation. In 1876, during the ministry of the Rev. Robert Millar the present manse was built at a cost of over £1,300. Shortly after 1880 the schoolroom was erected within the church grounds. In the twentieth century the same story of steady witness and progress was maintained. 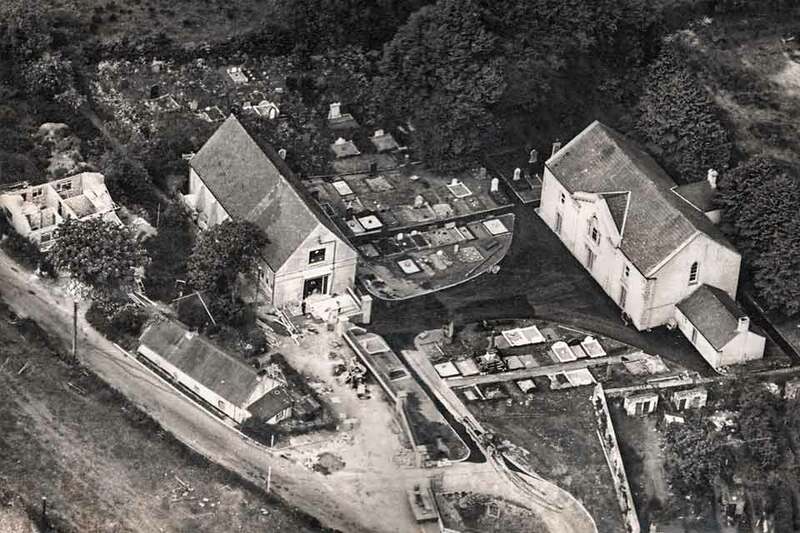 While numbers declined to 312 in 1949 they were 326 in 1995 and continued to reflect a strong and vigorous church life. A large Sunday School has always been a feature of the congregation, and successive renovations and extensions to the school room or church hall provided facilities for youth work, women's work and other aspects of church activity. This witness has been enhanced by a number of long and able ministries, perhaps most notably in this century that of Alexander Elliott Peaston. 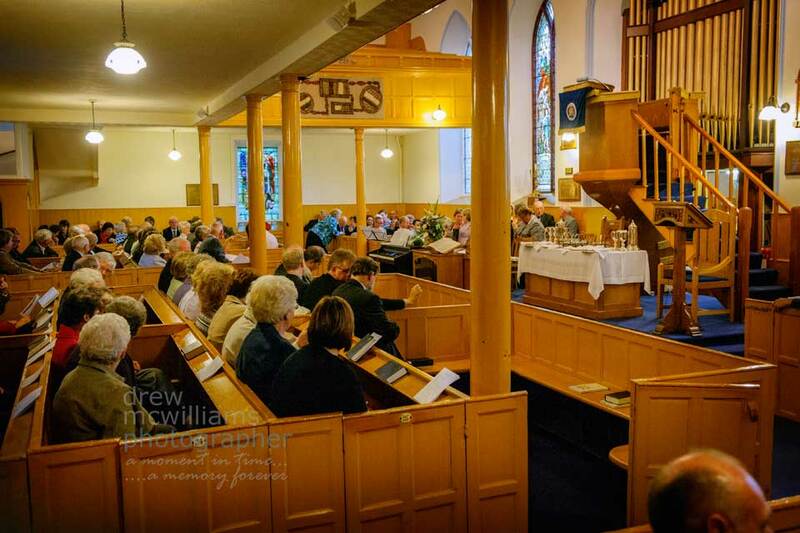 At the present time the congregation of Dromore continues to present a strong and vibrant witness to the cause of Non-Subscribing Presbyterianism in the town and district of Dromore. The present minister, Rev.Brian Moodie, was installed at Dromore on 26th October 2017. Researched and written by Rev. Dr. J.W. Nelson, B.A., B.D., PhD.